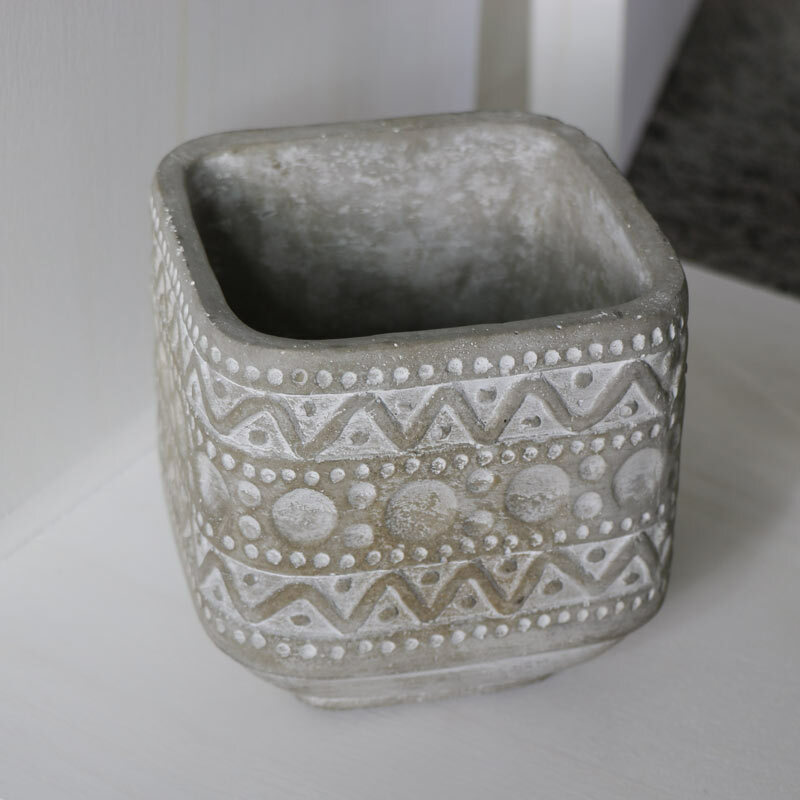 Display your plants and flowers in great style with this stone planter with quirky Aztec style patterning. Ideal for displaying in your living room or hallway. Great for use indoors or outdoors, engraved with an Aztec design. Very stylish and great for displaying your favourite blooms. A great gift idea for a gardener, this can be used for real or artificial plants. 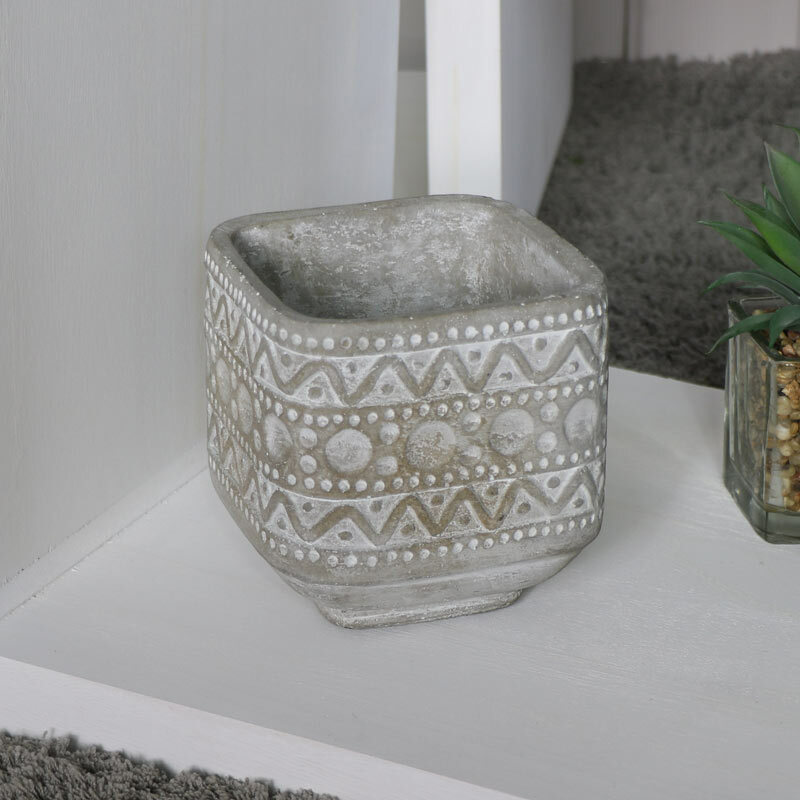 Display your plants and flowers in great style with this stone planter with quirky Aztec style patterning. Ideal for displaying in your living room or hallway. Great for use indoors or outdoors, engraved with an Aztec design. Very stylish and great for displaying your favourite blooms. A great gift idea for a gardener, this can be used for real or artificial plants. Constructed from concrete and decorated with a geometric style pattern. Part of our fabulous range of gifts and home accessories. So many ideas to help you make your house a home.